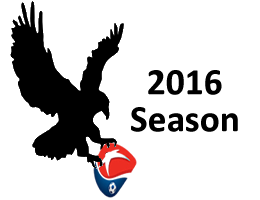 A new season and another new name, as Ansan prepares for its 9th season of professional second tier football. 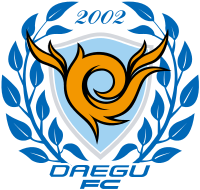 The team has been rebranded: "Ansan Mugunghwa", after the Rose of Sharon, Korea's national flower. 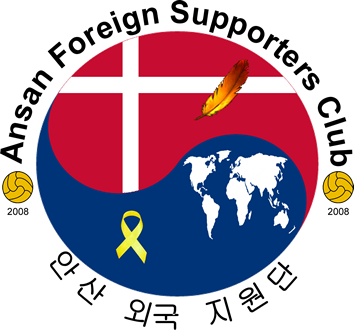 This is the fourth different name for an Ansan team, after 5 years as Ansan Hallelujah and 1 as Ansan H under the Immanuel franchise, and 2 as Ansan Police. 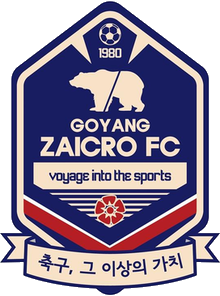 The team remains under the police franchise and the name change is presumably to detoxify the brand and attract more fans. 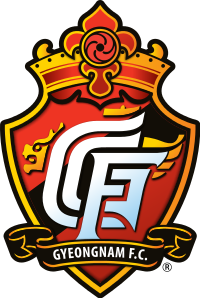 The team will continue to be made up of national service loanees, and with Sangju, the army team and other recipient of national service loanees, now in the top tier, it looks like Ansan can expect the second choice players from the top sides. 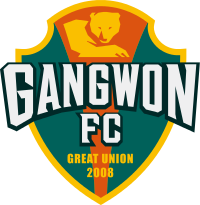 After a promising first 2014 season, which ended with a disastrous showing at the Wa in the promotion semi-final against Gwangju, Ansan finished second from bottom, with their best strikers returing to their parent clubs early in the season. As it is always difficult to predict how this group of players will ultimately play together, let's take a look at the opposition in this gruelling 40 game league season. Is it a bird? is it a plane? No it's another Hummel team! 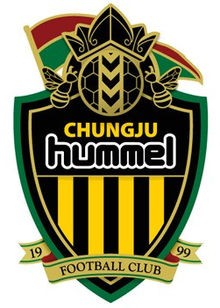 To be fair, the Hummel franchise has been resident in Chungju since the 2010 season, but they have been as naff as ever! 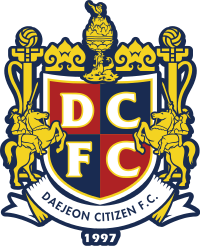 Ansan, in their own various guises, have played Chungju a lot down the years, and it is usually the game you take a friend along to to see the team win. 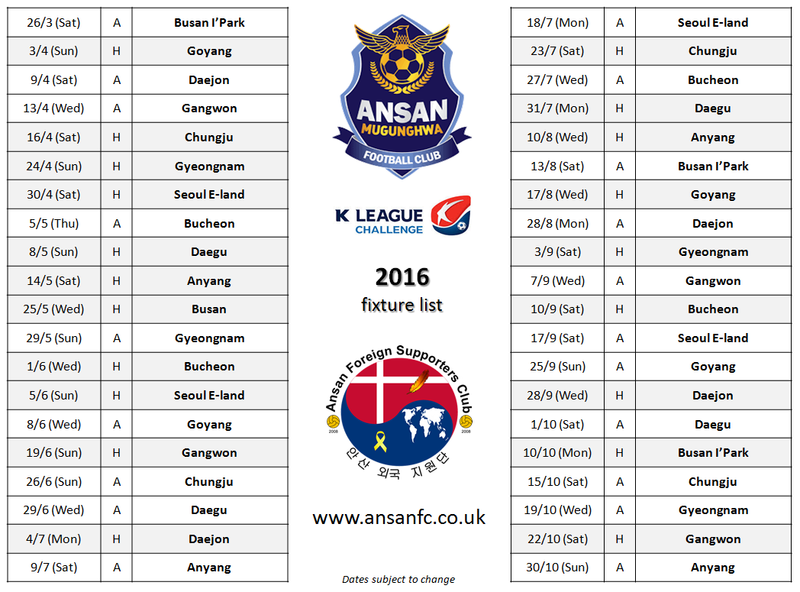 Of course, Chungju gave Ansan multiple lessons last season, despite finishing rock bottom. That includes a penalty shoot out win at the Wa stadium... Prediction: Below us! Old Ansan. 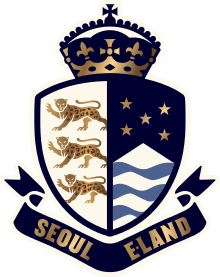 This is the team that should have been staying in Ansan with the E-land brand but seemingly had enough of the anti-Chrstian sentiment from city officials and packed their bags to a more welcoming Goyang. 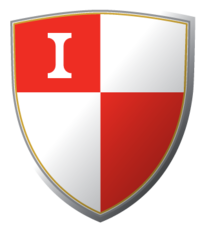 That being said, the team has done a u-turn on its principals of faith and now proudly bears the name of a sports apparel company. Two times Ansan FSC Player of the Season Kang Jinung recieved our warm applause last season and we hope for another generous offering of points from them. Prediction: Below us! 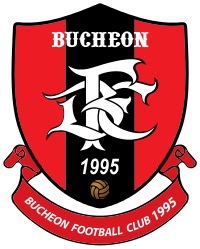 The only thing you need to know about Gyeongnam is that it is bloody miles away! Changwon on the south coast to be exact. There is little else to comment on really, with the teams winning one each last season, and drawing the other two meetings. Prediction: Who cares?